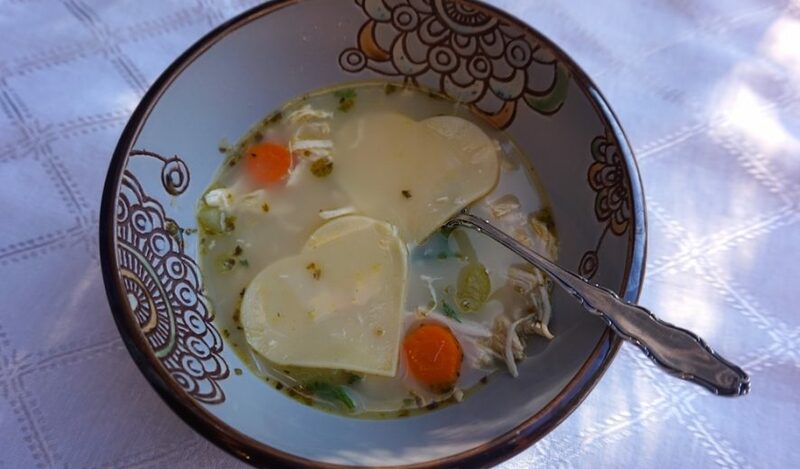 Definitely made with LOVE, this hearty chicken soup will warm you up on a winter day. 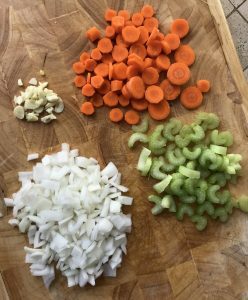 While the lasagna noodles are boiling, chop the carrots, celery, onion, and garlic into thin slices. Once the noodles are finished, rinse with cool water and pat dry. 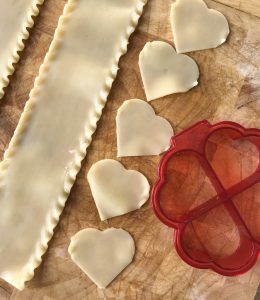 Lie flat and use cookie cutter to make heart shapes. 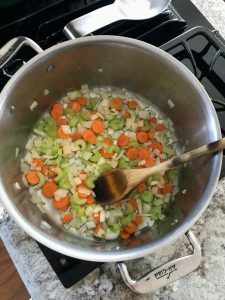 In pot, cook garlic, celery, carrots, and onions in olive oil for 5 to 7 minutes until soft. 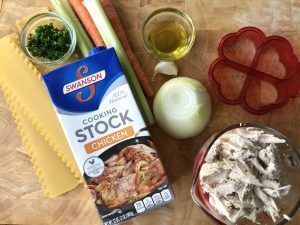 Add chicken stock, chicken, and 1 cup of water. 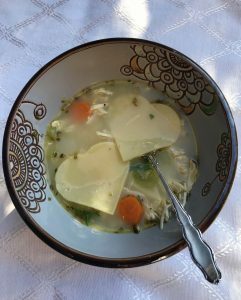 Bring to a simmer and season. 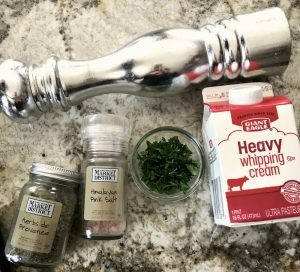 I use sea salt, pepper, Herbs de Provence, and a tbsp of heavy cream for my final touches. Simmer on low for 5 minutes. Add noodles and parsley, simmer for 5 more minutes. Serves 6. 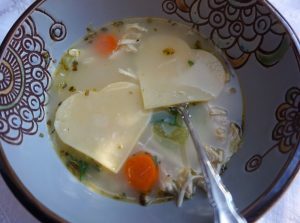 This soup is a perfect warm up for winter days with the secret ingredient of love.